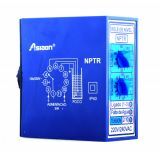 Founded in 1992, ASIAON has gained an excellent reputation as a company with long traditions in electromagnetic relays and socket relays manufacturing which are sold worldwide under their ASIA DRAGON trademark. The company is a member of the Association of Producers and Exporters of Relays in China and their production range cover all international quality standards such as: UL, CUL, TUV, VDE, CE, RoHS, CCC, CQC,. The company was also accredited with ISO9001 Quality Management System and IECQ ISO / TS16949 which additionally ensure their quality of products and services. ASIAON products are well known in Bulgarian market and Europe, but the company has a wide distribution network as well in America, Australia, Middle East and China. As the moto of ASIA DRAGON is "QUALITY FIRST", the engineers working for the company are constantly improving their designs, investing in R&D and patents rights, as well as using advanced technologies in their manufacturing process, thus trying to provide best quality services and products to their customers all around the world. The implementation of high technology and strict precision in the design and the assembly processes guarantee the highest quality, long life and the safety of all ASIA DRAGON's products. 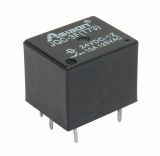 ASIAON offers a huge variety of standard and specific relays and other types of automation utilities and consumables. Amongst the branded products are also float switches, digital and analogue counters and timers, highly precision temperature controllers, voltage stabilizers, communications and office equipment and many others. They are widely used in the household appliances, office and industrial equipment and facilities, voltage stabilizers, communications and high-tech installations etc. VIKIWAT Ltd. is a direct importer and an authorized distributor of ASIA DRAGON for Bulgaria. 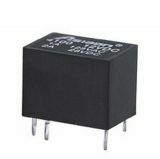 In our physical and online stores, you can find and buy a wide range of high quality time relays, counters and socket relays at competitive prices. We also offer special conditions for wholesale orders and distributors, as well as promotion for our retail customers. Relay Socket AS401, 12 VDC, 10 A, 4pin, with wires Relay socket AS401, 12 VDC, 10 A, 4 pin, with lead wires. Electromagnetic Automotive Relay 12VDC/30A SPST - NO, AS402 Electromagnetic automotive relay AS402 with rated coil voltage 12 VDC, contacts load capacity 30 A and contacts configuration SPST - NO. List Price 5.50лв. VAT Incl. 5.23лв. VAT Incl. 4.95лв. VAT Incl. 4.68лв. VAT Incl. List Price 1.50лв. VAT Incl. 1.43лв. VAT Incl. 1.35лв. VAT Incl. 1.28лв. VAT Incl. Electromechanical Relay universal, JRC-21F, 12VDC, 250VAC/2A, SPDT - NO + NC Electromagnetic relay, JRC-21F with nominal coil voltage 12 VDC, contact system SPDT - NO + NC with parameters 2 A / 250 VAC. 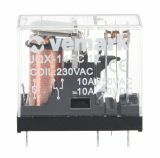 Electromagnetic motor relay JQX-14FC 2Z 220VAC 230VA/30VDC/5A DPDT - 2NO +2NC Electromagnetic relay JQX-14FC 2Z with coil rated voltage 220VAC, contact system DPDT - 2NO +2 NC amd contacts load capacity 230 VAC / 30 VDC / 5 A. List Price 6.90лв. VAT Incl. 6.56лв. VAT Incl. 6.21лв. VAT Incl. 5.87лв. VAT Incl. 5.52лв. VAT Incl. Liquid Level Controller AS-TE101, 24 VDC, NC + NO Liquid Level Controller AS-TE101, with supply voltage 24 VDC, NC + NO contacts and plastic case. List Price 45.00лв. VAT Incl. 42.75лв. VAT Incl. 40.50лв. VAT Incl. Liquid Level Controller AS-TE101, 220 VAC, NC + NO Liquid Level Controller AS-TE101, with power supply 220 VAC,NO+NC and plastic case. Liquid Level Controller NTPR, 220 VAC, NC + NO Liquid Level Controller NTPR,with power supply 220 VAC and NO+NC contacts. Electromagnetic Automotive Relay, AS405 (CM6321), 12VDC/20A SPST - NO Electromagnetic automotive relay AS405 (CM6321) with rated coil voltage 12 VDC and contacts load capacity 20 A. List Price 2.95лв. VAT Incl. 2.80лв. VAT Incl. 2.65лв. VAT Incl. 2.50лв. VAT Incl. 2.36лв. VAT Incl. Electromechanical Relay JRC-21F 24VDC 250VAC/0.5A SPDT - NO + NC Electromagnetic relay Telecom relay JRC-21F with nominal coil voltage 24 VDC, contact system SPDT - NO + NC with parameters 0.5 A 250 VAC. List Price 1.20лв. VAT Incl. 1.14лв. VAT Incl. 1.08лв. VAT Incl. 1.02лв. VAT Incl. 0.96лв. VAT Incl.